Nifty opened huge up on the back of better than expected outcome in four state in favour of BJP, to touch all time high at 6415, before closing marginally lower on profit booking at 6363.90, still a huge gain of 104.00 points. The broader market though was negative, with 668 advances to 707 declines. Best resistance still at 6400. 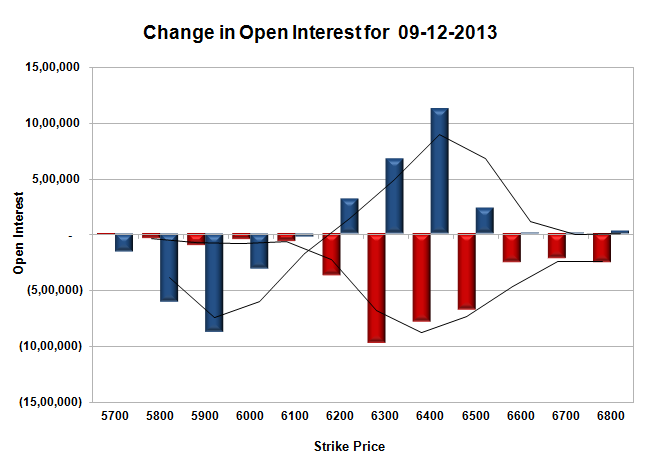 Call option did not add any OI with huge short covering seen at 6400 and lower strike prices. Put option 6500-6200 added 23.56 lacs huge amount of OI with profit booking seen at 6000 and below strike prices. 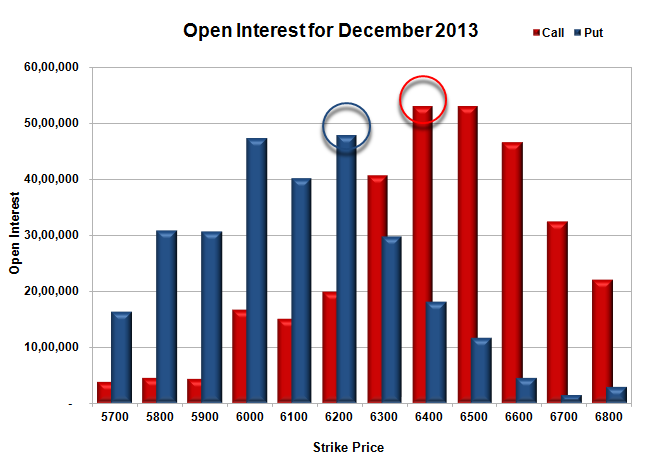 Nifty Open Interest is at 2,15,73,250 up by 20,54,550, with increase in price, mostly huge long build-up. Bank Nifty Open Interest is at 14,99,175 down by 15,875, with increase in price, mostly huge short covering. FII’s bought 30.57 lacs Futures, mostly long build-up, as their net OI increased by 74384 contracts (includes 115501 longs and 54371 shorts for the day) and the average price per contract comes to around 6373.23. FII’s future open contract as on date is 545059. PCR Open Interest (Volume) is back above 1 and now at 1.079. Initial support is at 6300, with huge addition for the day at 6.78 lacs and below that at 6200 with OI of 47.82 lacs. Initial and best resistance at 6400, with highest OI of 53.09 lacs and above that at 6500, with OI of 52.96 lacs. 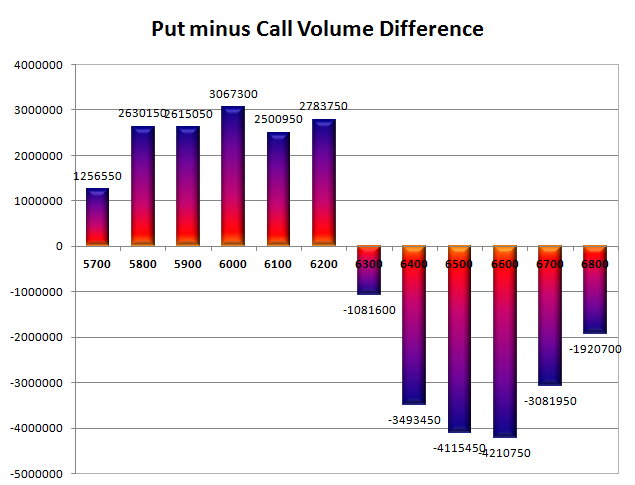 Day Range as per Option Table is 6306 - 6434 and as per VIX is 6300 - 6428 with 6375 as the Pivot.